This is a long overdue and an often requested comparison as of late. Both of these pistols are a fantastic choice as a deep concealment everyday carry. I will not waste your time with the argument whether .380ACP is a sufficient round for carry. The effectiveness of the 380 is well documented and there will always be 'haters'. At the end of the day it is better to have some sort of firearm than none at all. 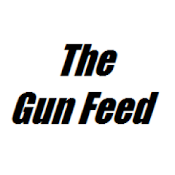 "A firearm is a tool that if needed, and not present, may never be needed again." Let's get down to business. 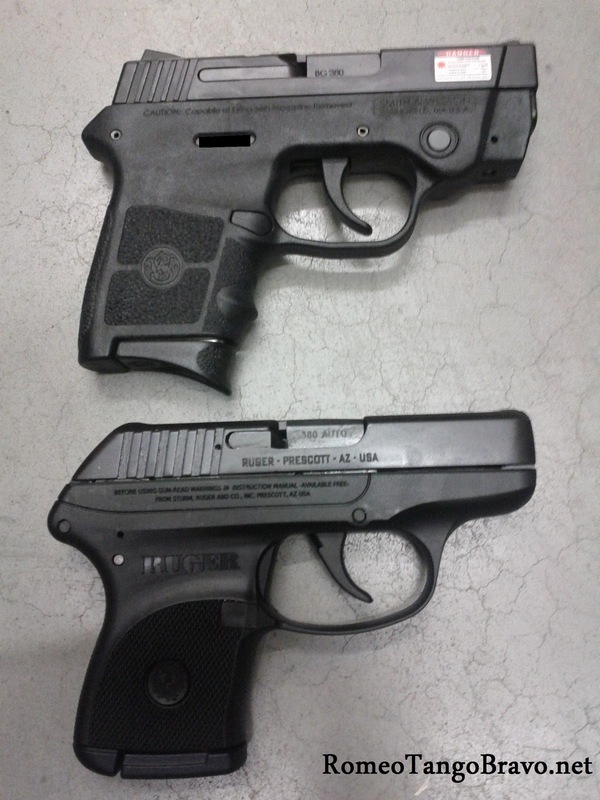 The Ruger LCP and S&W Bodyguard are both hammer fired DOA (Double Action Only) guns. Both have a long but smooth (+/-) 6.5 lbs. trigger. While firing the guns I found that I had to consciously let out the trigger completly to reset it. This may not be a problem for many people but I am use to shooting pistols with a short trigger reset (1911/Glock) and it took a bit of trigger time with the pistols before I was working the trigger as I should. 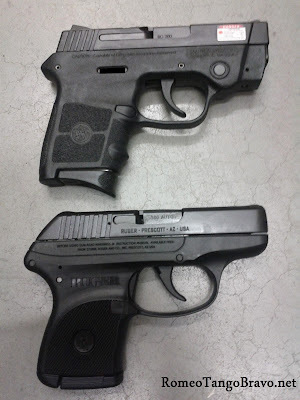 You only need to hold the two pistols in your hand to notice a difference in size and weight. The LCP weighs in at 9.4oz. against the Bodyguard's 11.8oz. The increase in weight comes from the Bodyguard's larger frame. The larger frame allows you to gain a couple features that will be covered below. The other dimensions are pretty close and will not write them out for you to read. I have supplied you with the specification chart for each pistol below (click to enlarge). The biggest gain with the larger frame is an improved grip. I felt like the Bodyguard was easier to handle than the LCP while firing. As mentioned above the S&W Bodyguard's larger frame allows for some additional features over the Ruger LCP. The Bodyguard has a working slide lock; which will lock the slide to the rear on an empty magazine. You many also use the slide lock lever to release the slide as well. Another feature over the LCP is the manual safety. While I personally don't belief a manual safety is needed for this particular pistol (which is difficult to actuate) many people are feature driven buyers and will buy the Bodyguard only because it has a manual safety. The Bodyguard is also adorned with larger (usable) sights. They are driftable for point-of-impact shift and will inevitably be followed by after-market sights (night sights, etc.). Another feature the Bodyguard touts is its integrated Insight laser. The laser has two modes; constant on and strobe. The laser is activated by depressing (hard) a tiny gray button on either side of frame in front of the trigger guard. In stark comparison the Ruger LCP has none of the Bodyguard's features. It has no manual safety (which I prefer) or working slide lock. A slide lock is present but must be operated manually (which prompts me to ask why one is present at all). The standard LCP comes without a laser but there are several aftermarket options for you laser lovers out there. The two most popular offerings are the Crimson Trace Laser Guard LG-431 and the LaserLyte CK-AMF, both weight in at about 1/4oz. The sights on the LCP are a simple rear notch and fixed front post. While being harder to acquire they are lower profile and seem to clear a pocket holster a bit smoother. Many will argue that sights on these small pistols are secondary to 'point shooting' which is enhanced with the use of a (easily deployed) laser. Regardless of current group think; sights on firearms, especially on tiny pocket guns, will always be judged. In the end the best pistol for you will be the one that fits you best. Some of you want a K.I.S.S. (Keep It Simple Stupid) pistol with no frills (but is feature upgradable), while others will want a feature rich pistol right out of the box. For the former the Ruger LCP is for you; the S&W Bodyguard is for the latter. What I can tell you for certain is that you will be happy with either pistol. The bodyguard is a neat little pistol, but the laser sure is a pain to turn on! 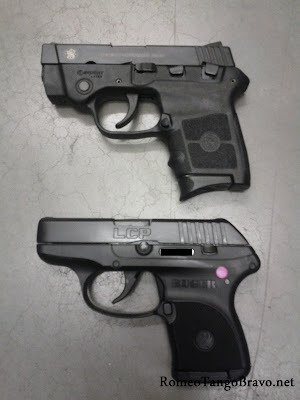 The Bodyguard has double-strike capability, the LCP does not. Ruger LCP is lighter, more concealable, simpler to operate, more reliable and less expensive with option of adding a laser (crimson trace is easier to turn on) if you want. I have both. The LCP is slightly lighter and slightly more concealable. The S&W has sights (may or may not be useful in a defensive situation, but they are there). Bodyguard does have doublstrik capability, but on putting 2k round through both pistols (combined) I havn't used the feature except when igniting mag primers (store was out of spp). Bodyguard is much easer to handle, in part because of the moderately aggressive stipling. My LCP got a similiar treatment in about 45 minutes with a soldering iron. Overall, they both work. The laser is neat on the bodyguard, but It's not intuitive. They can both use the same holsters I have(except one iwb holster that will not accomidate for the s&w because of the laser). I don't use the safety on the bodyguard, so that is a non issue for me. The smith has a better trigger. All in all I prefer the Bodyguard. When my wife is carrying the bodyguard, I carry the LCP. 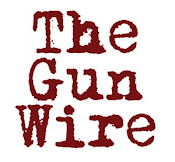 Both work well and both will serve the average CCW exceptionally well. Thanks Mr. Sam Rainey.I also agree with you. LCP will better for you. 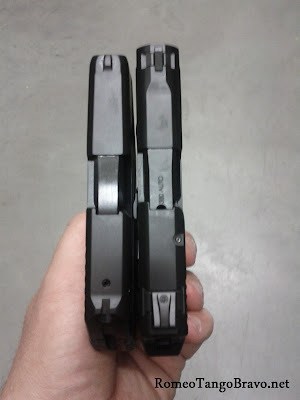 LCP wins hands down, not to mention the new Bodyguards have MIM barrels. I would still go with the LCP over any other small .380 based on, reliability,size, weight, and price. Ive been looking at both guns and the Bodyguard has a stainless slide and barrel that is coated in a black coating.And the BG comes with 2 mags LCP come with 1. Conceal-ability is negligible. The BG has several advantages over the LCP and dependability is the same. Accuracy is better with the BG. I have a LCP in layaway and I will probably swap it out for the BG. To me the stainless is a big deal, You don't want your pocket pistol to rust due to sweat.